The “Play It By Ear” is a headphone amplifier from The Lambert Company and part of their new “Small Wonder” line of products. Lambert’s newest products aim to be simple and musical, yet affordable and high quality. The “Play It By Ear” costs $499, and in my opinion, cannot be beat for the price when it comes to tube-driven musicality and enjoyment – seriously, this is a fun little amp! Lambert’s “Play It By Ear” has exceptional build quality for the price and a simple yet practical design. The case is made of thick aluminum with a soft matte finish that feels great to the touch. Everything is solid metal except for the clear plastic faceplate which features a blue LED “Lambert” logo that serves as the on/off indicator. The single 12AU7 tube is well protected by an aluminum enclosure that is part of the main chassis as vibrations are absorbed by an inner rubber ring that holds the tube in place. The solid construction and tube protection allows the amplifier to be placed on a busy desktop without worry of damaging the tube or amp. There is a single pair of RCA inputs in the back and sturdy ¼-inch headphone jack in the front. Each part of the amplifier is well finished and of premium quality, nothing feels cheap or DIY. The “Play It By Ear” is a single ended Class A hybrid headphone amplifier utilizing a single 12AU7 twin triode tube and one Class A Mosfet per channel. It is able to drive headphones between 16 and 300 ohms up to 100mW. The power supply is a Lambert-branded 19V wall wart and the stock tube is a Russian-made Electro-Harmonix 12AU7. Though the amplifier does not seem very powerful, it was able to drive my Sennheiser HD800 with ease and the volume knob was never above 11 o’clock. Internal filtering and regulation ensure that the amplifier is transparent and free of distortion or colorations. I used the Sennheiser HD800 as my primary headphone for this review, I am very familiar with its sound signature and it remains my go-to headphone for reviewing tube amplifiers. The “Play It By Ear” had the stock Electro-Harmonix 12AU7 for this review, and surprisingly, it sounded good enough that I never considered tube rolling. I used Audioquest King Cobra interconnects as well as Audioquest Power and USB Cables. My source was lossless music files from my computer fed to my Mytek Stereo192 DSD DAC. As usual, my music choices varied and included just about everything. Simply, the “Play It By Ear” defines musicality. There is a great sense of coherency and connectedness in its sound. The treble is smooth, effortless, and flowing. The midrange is neutral and natural. The bass is punchy, deep, and well integrated with the midrange. Transparency is excellent and the sound is devoid of any grain. The “Play It By Ear” has the strengths of both tube and solid-state and brings them together in a way I did not think was possible without spending thousands on a top-of-the-line (TOTL) amplifier. The pairing of the “Play It By Ear” and the Sennheiser HD800 was absolutely sublime. There was more than enough power for the 300ohm headphones. Dynamics were excellent and the synergy worked well with all genres of music. I was able to enjoy my entire library with this combination. The treble of the Sennheiser HD800 was well tamed by the warmth of the 12AU7 tube and was buttery smooth without becoming strident, even on the poorest of recordings. I was able to listen to Lacuna Coil’s Dark Adrenaline album at full blast without any sense of fatigue. The compression and loudness of the album never got in the way of the music and the sound never became too revealing or analytical. This is a forgiving amplifier that does not lose much, if any, detail in the process. On DJ Okawari’s Kaleidoscope, the HD800’s superb detail and extended treble helped bring out every little nuance in the music. On tracks such as “Flower Dance”, bells shimmered beautiful and instruments like the piano and violin had a very airy lifelike decay, which added depth and ambience to the music. What impresses me the most however, is that the “Play It By Ear” can have such clean and grain-free treble with the stock tube as I usually have to roll several tubes before I find one that sounds good. The “Play It By Ear” has a rounded soundstage that is very natural and lifelike. It presents the music in a forward way without being aggressive or pushy, I believe that this is one of the reasons it can be described as such a “musical” amplifier. Additionally, the warm and inviting midrange is well balanced in regards to the treble and bass, resulting in a coherent and connected presentation. Complex passages are resolved with ease and the speed of the amplifier helps keep the midrange free of congestion. This all makes the “Play It By Ear” an excellent amplifier that I’m sure will pair well with many different headphones. The bass of the “Play It By Ear” is excellent and one of its greatest strengths. The bass is close to what I would consider perfect. Fast, punchy, and with plenty of presence, it is slightly above neutral without becoming overdone. The Sennheiser HD800s were able to drop the bass on Martin Garrix’s “Virus (How About Now)” and still have enough speed for faster music such as drum and bass, house, and techno. I was up and dancing around when I listened to Royksopp & Robyn’s new single, “Monument Dance (Marcus Marr Mix)”; it just sounded so good and made me feel like I was at a club! The bass was also detailed and refined enough to explore the deeper textures in Pretty Light’s Taking Up Your Precious Time. Tracks like Finally Moving” and “Stay” were deep, soulful, and pure bliss; bass notes had plenty of body and a full natural decay while being accurate and clean. On “Almost Familiar”, the bass was strong and controlled – it enhanced the trippy, floating, and mellow nature of this track without compromise. The bass worked well with all genres of music and makes the “Play It By Ear” an incredibly fun and musical amplifier. The Lambert amplifier also paired well with my 32ohm Master & Dynamic headphones and my Klipsch IEMs. It had plenty of power and the sense of musicality was as good as it was with the HD800 pairing. All headphones were free of background noise and were easily driven. I have not tried this amplifier with more power hungry planar headphones like the Audeze and HiFiMan, but I imagine it will do OK. I feel that this amplifier will work better with easier-to-drive headphones that are more sensitive, as you will be able to get them to reach louder volumes without compromise. Compared to more expensive headphone amplifiers, the Headamp GSX MK2 and the Woo Audio 5, the Lambert amplifier holds its own quite well. Though it isn’t as detailed or as layered and expansive as either amplifier, it never feels like you’re missing any of it. The “Play It By Ear” has enough transparency and speed to avoid grain, congestion, and any veiling in the sound; things that usually take away from the realism of the music and make it sound like a cheaper amplifier. The Lambert does not have as black a background as the GSX MK2 and it lacks the 3-D presentation of the WA5, but it is every bit as coherent and musical as either amplifier. Additionally, the Lambert lacks the extra inputs and outputs and pre-amp functions of these flagship amplifiers, but these of course would make the Lambert more costly and take up more space. Overall, the strengths of both tube and solid-state amplification are present in the sound and the Lambert is able to outperform most $500 amplifiers on the scene. I have enjoyed listening to the “Play It By Ear” and I think that The Lambert Company has done a great job voicing the amplifier. The “Play It By Ear” is small, requires no tube rolling, and sounds fantastic with the Sennheiser HD800. At $499, it is a phenomenal value amplifier that deserves to be auditioned. My interest in high-end audio started four years ago with a pair of Sennheiser HD 650's. Since then, I have owned and auditioned just about every high-end headphone on the market as well as plenty of amps. My taste in music is broad, but I mostly listen to electronic and rock. My other hobbies include video games and chess. Professionally, I am an Accelerator Operator. Great job as ALWAYS Dubstep Girl! Loved the flow and your style – so glad to have you as a Guru Teammate here! I’ve been rockin’ the Lambert Play It By Ear hybrid for a couple months now – and I dug it so much I even used it in my review (the 1st official one) of the Alpha Prime here on Guru! So I’ve been telling my buddies who couldn’t afford it at $499 (which is still a GREAT price I think) about Lamberts Indiegogo campaign! The Play It By Ear is available already of course, (so peeps know they’ll get it on-time 😉 ) but Lambert made it a part of their campaign, as they also have a KILLER lil’ desktop system they’re offering and such..
We attended (me, Warren, and Harmony from Guru) The Audio Nerds Listening Party in LA 2 weeks ago for the Play It By Ear and other stuff. Was a GREAT time! Again – psyched to read your review!! Thank you!! I am glad you enjoyed my review, I really liked this little amp, I still can’t believe how good it sounds, sometimes simplicity really is best!! definitely more transparent! this seems like the tube amp i’m looking for, the price is also right. Just one consideration, i have the Hifiman He-500. You said it will be ok with these kind of hp, but how MUCH ok? will i be able to take all potential the HE-500 have with this amp or do you know an other tube amp which will match better with my Hifiman? I pulled the trigger @ indiegogo based of your review and in part due to Michael Mercer’s comments on how hot this amp is with the Audeze EL-8. 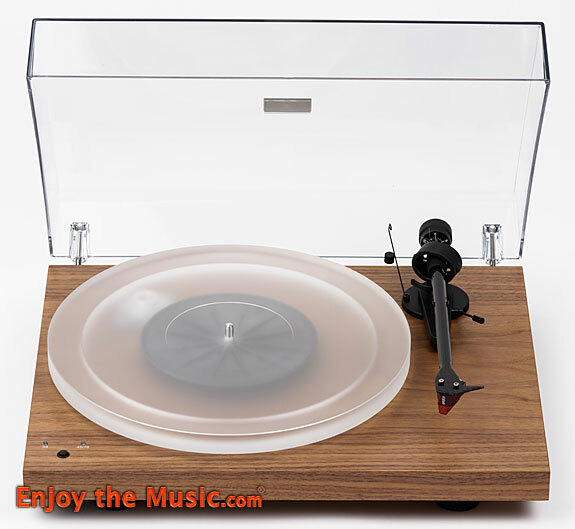 How do you think the Lambert compares to the Schiit Vali?